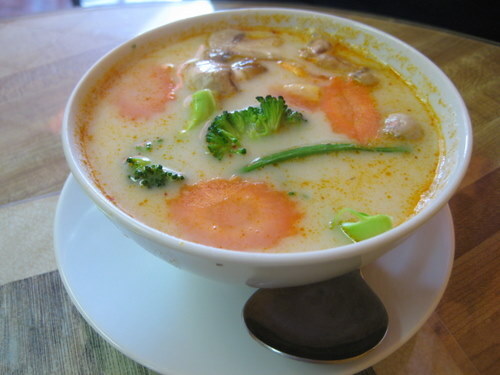 The coconut soup… with coconut milk, veggies, chicken, lemon grass, you know the drill. If you like coconut milk, good for you. If you don’t, like me, then stay away! I wasn’t feeling soup that day so I went with the veggie dumplings. Aren’t these adorable? They tasted great too. They look a little weird though, but don’t let that dissuade you. They’re delish and served with a sweet chili sauce. I loved the pickled cucumbers too. 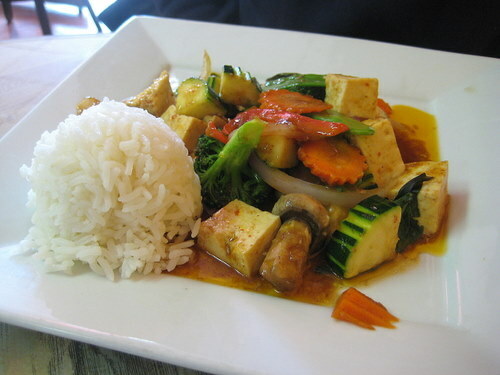 The thai basil with tofu and a bunch of veggies. You know this is good. 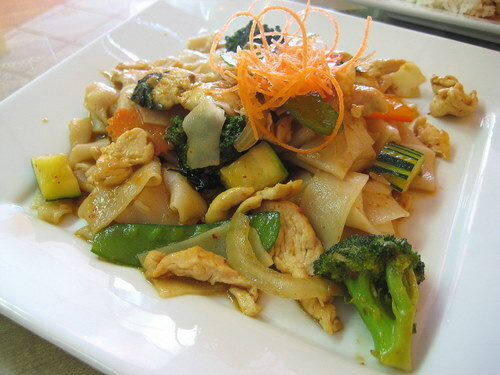 I love me some drunken noodles so of course, that’s what I got. I got it with chicken and I scarfed this all down! This was the coconut tart, the dessert special of the day. 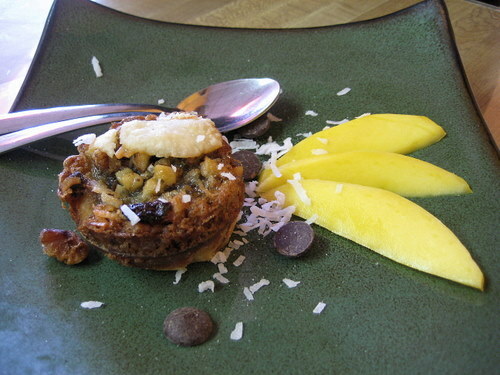 It had a flaky bottom, raisins, walnuts, brown sugar, and coconut shavings, and was apparently very good and delicious. They definitely get points for presentation. We’re pretty sure a family runs this place. It was sad that we were the only people in the dining room during our visit because the food is quite great and so is the service. 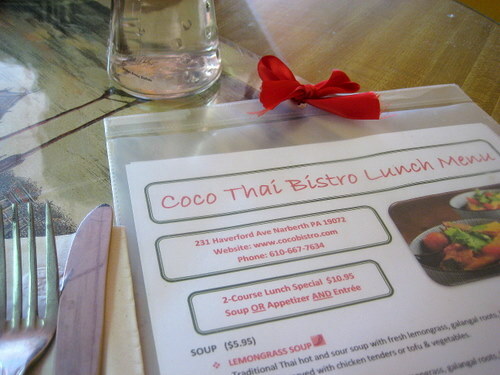 If ever in Narberth, stop by for some delicious thai! 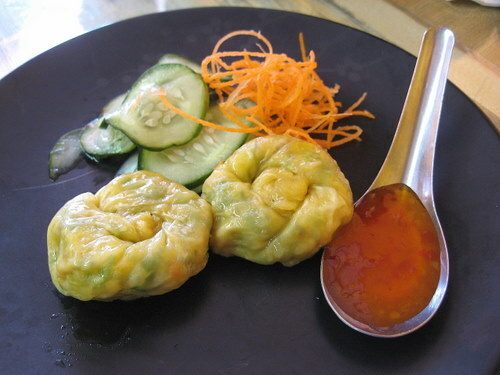 i’ve never seen vegetable dumplings like that before. very interesting :-) glad they were good.